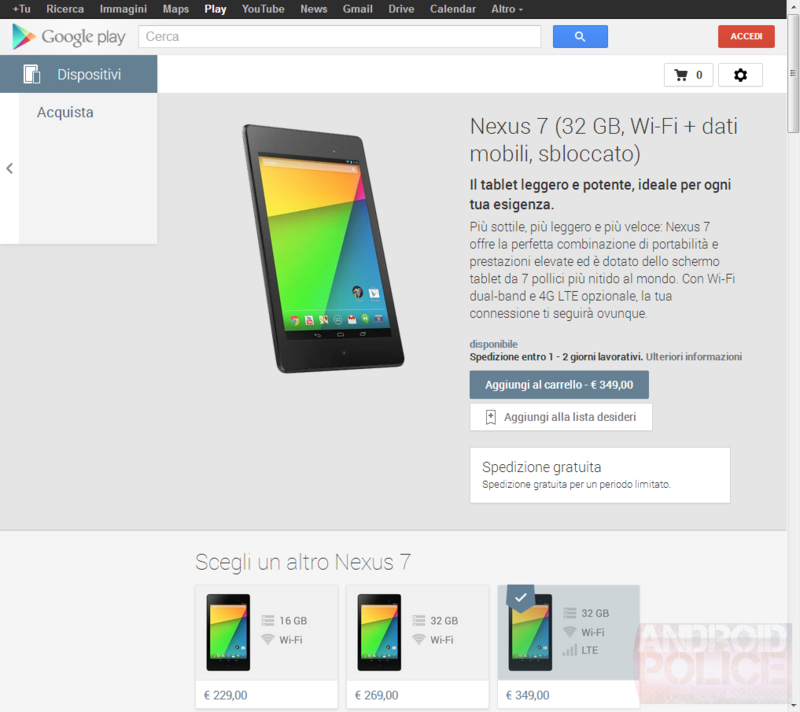 Earlier today, Google announced that the new LTE Nexus 7 was now available for purchase from the Play Stores in 9 countries: Australia, Canada, Germany, Spain, France, UK, Japan, Korea and U.S. For some reason, the company has neglected to mention Italy, which just got the Devices (Dispositivi) section added to the Play Store for the first time ever. The Nexus 10 and Nexus 4 are nowhere to be found, which isn't too surprising considering they're now almost a year old. 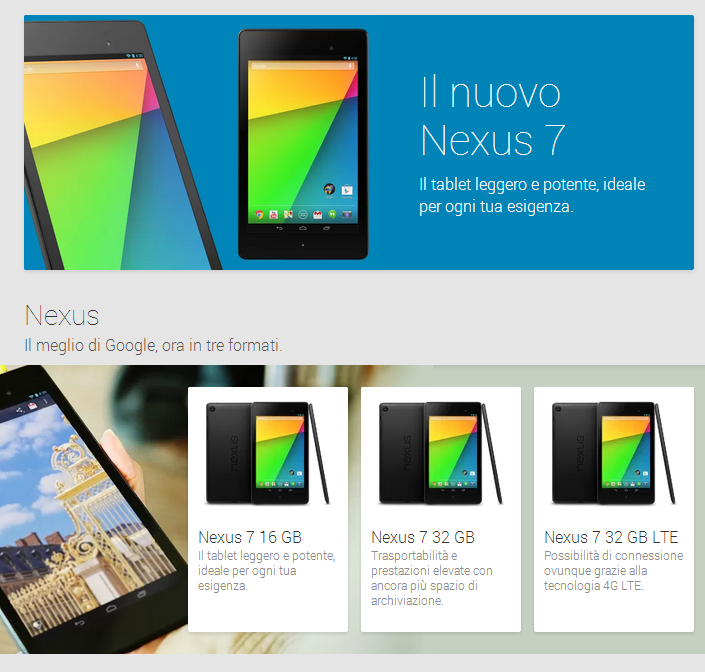 Hopefully, this means Italy will participate in all future Nexus launches, one of which may be upon us soon. It's worth pointing out that for the moment shipping is not available to Vatican city, Livigno, San Marino, and Campione d'Italia as per the country availability document.